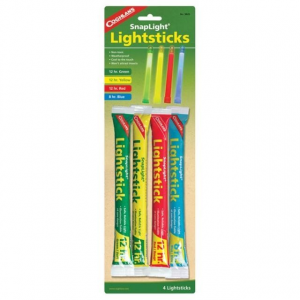 Visit Coghlan's's Emergency Strobe Light page. 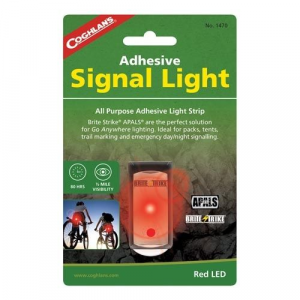 The Coghlan's Emergency Light strobe can make your location known to rescuers or you can use it to mark a spot you wish to return to. 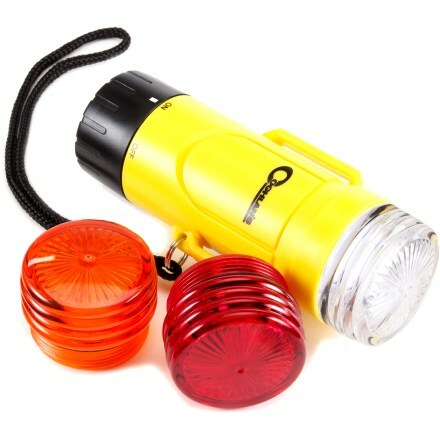 Includes 3 different colored lens covers to suit your situation; clear is the most visible and is best for emergencies; red and amber are ideal for warning or marking. 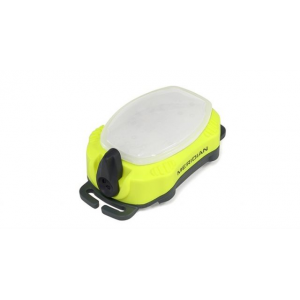 Dome-shaped lens cover allows for visibility over a 180deg range. Xenon bulb throws bright light and has a long life; bulb flashes up to 60 times per min. 4 AAA batteries (sold separately) provide up to 10 hrs. of continuous operation; simply twist the bottom of the strobe to turn on and off. Gaskets create a waterproof seal to a depth of 50 ft. 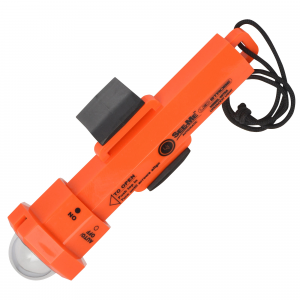 Included lanyard lets you attach the strobe to a pack or wear it over your neck; belt/strap loops on the strobe can be used to attach the strobe to your body or to a backpack. Built-in magnet fastens the strobe to a car or other metal object. Flashes 60 times per minute for approximately 10 hours. Waterproof to 50 feet (15 m). Includes magnetized bottom and a wrist strap. Powered by 4 AA batteries (not included). Includes three lenses for appropriate color selection/usage. 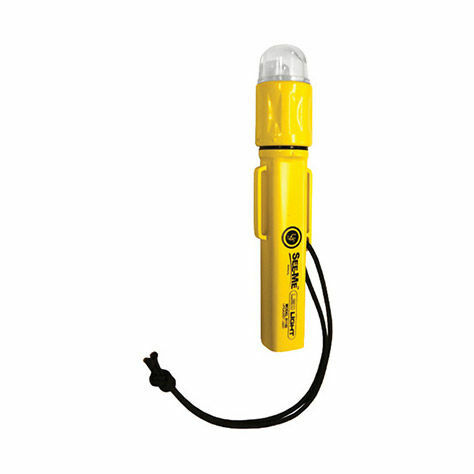 Emergency strobe light for signaling, warning, or marking when on the trail, hunting, boating, snowmobiling, or on the road. 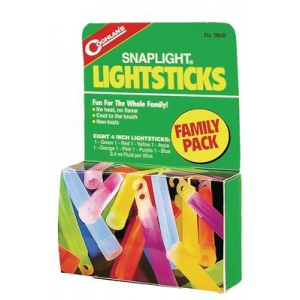 The Coghlan's Emergency Strobe Light is not available from the stores we monitor. It was last seen February 15, 2013	at REI.